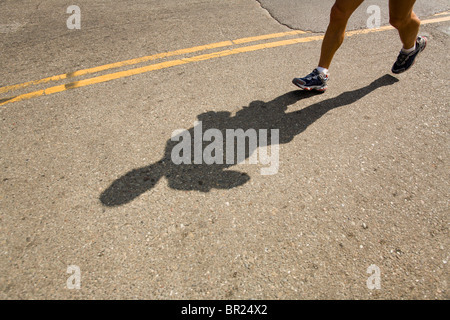 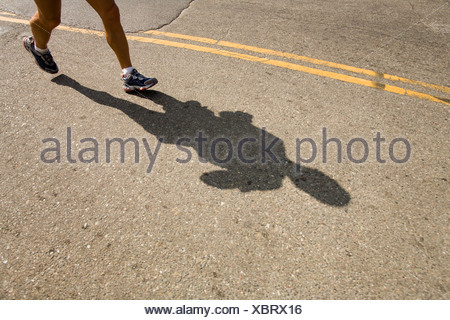 Shadow and feet of a runner in a marathon in San Francisco, California. 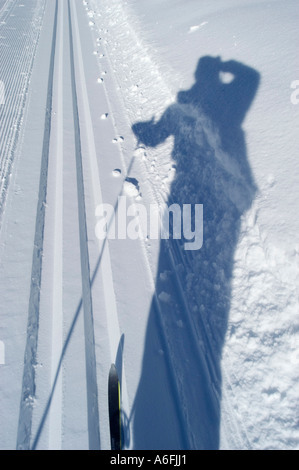 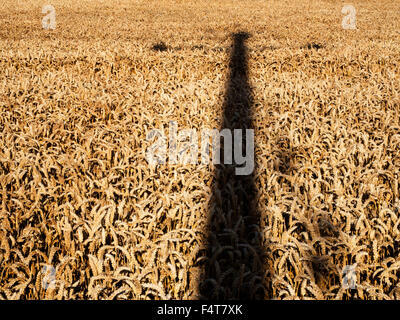 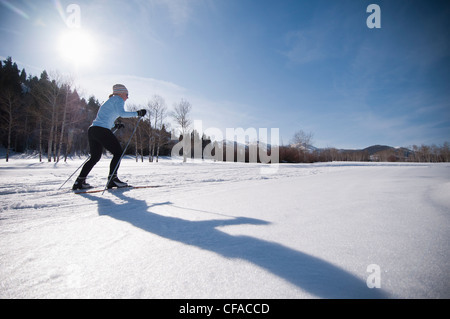 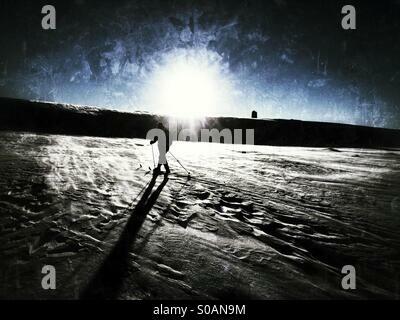 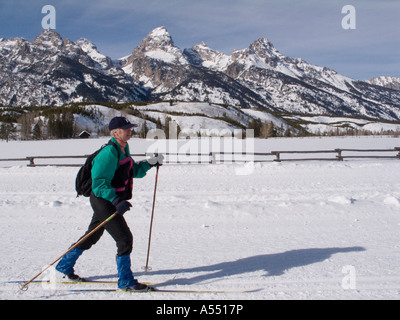 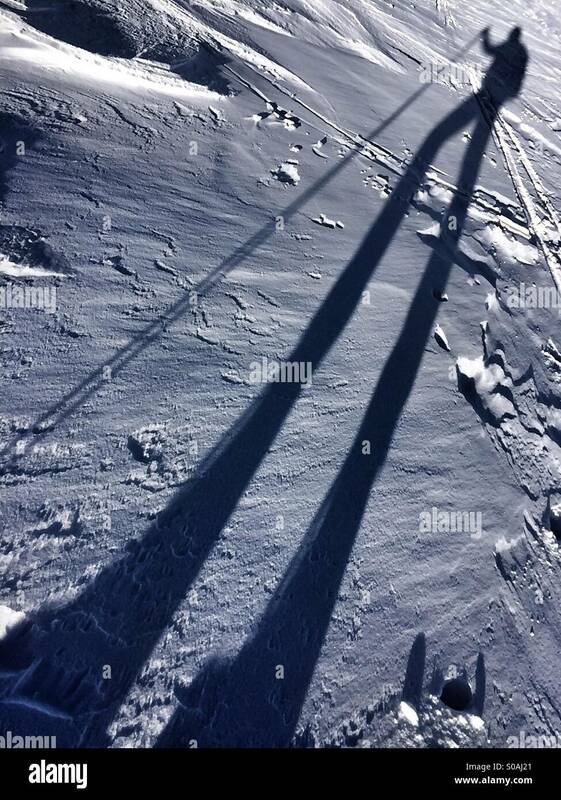 Nordic skier going cross-country skiing into the sun casting a long shadow. 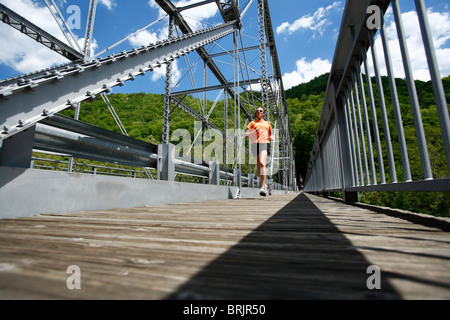 Woman runs across a steel bridge. 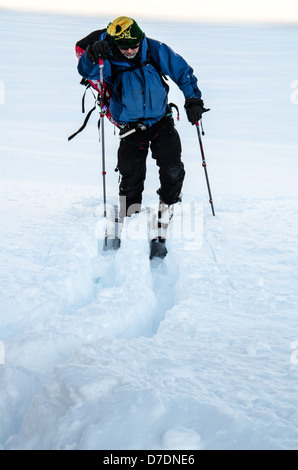 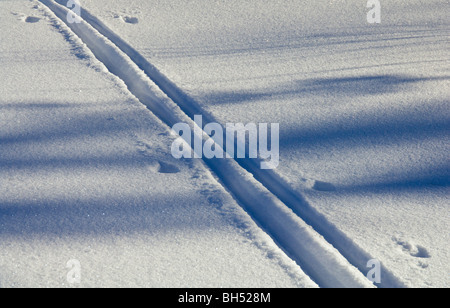 Cross-country ski tracks in deep snow.